Beautiful craftsmanship and technological wonder unite through the invention of a group of electric novelty jewels. 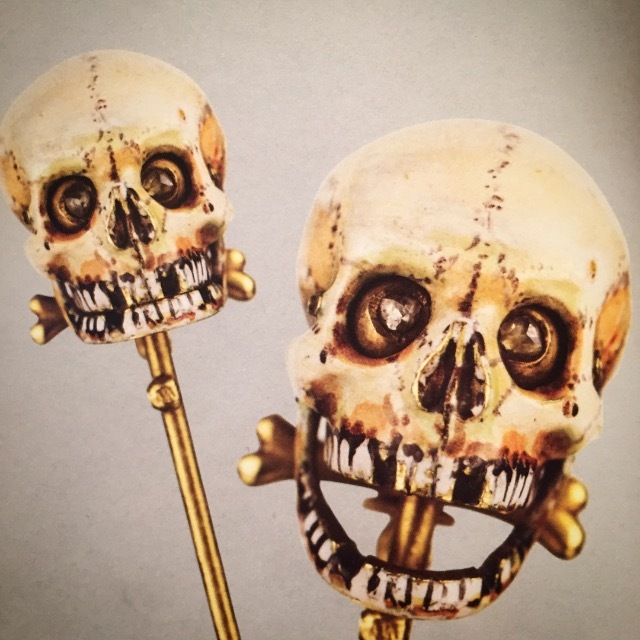 Among these rare jewels is a gold and enamel skull stickpin with a hinged jaw and rose-cut diamond eyes. This early electrical wonder was invented by the creative French engineer Gustave Trouvé and made in Paris in 1867 by Auguste-Germain Cadet-Picard. 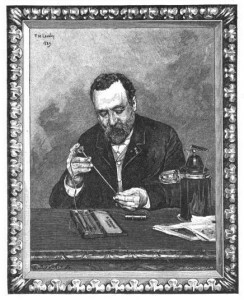 Trouvé trained as a watchmaker and opened his own workshop in 1863. 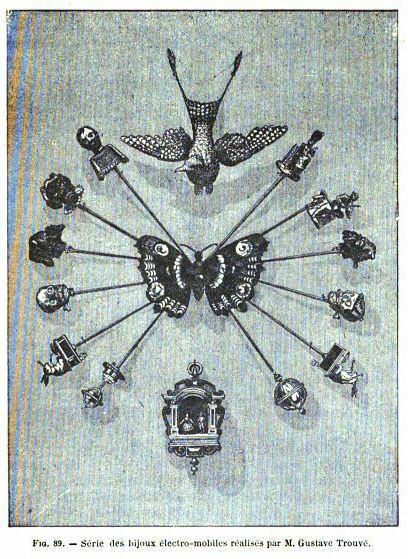 His many inventions included a miniature hermetically sealed battery, patented in 1865, enabling him to create his electric jewels. 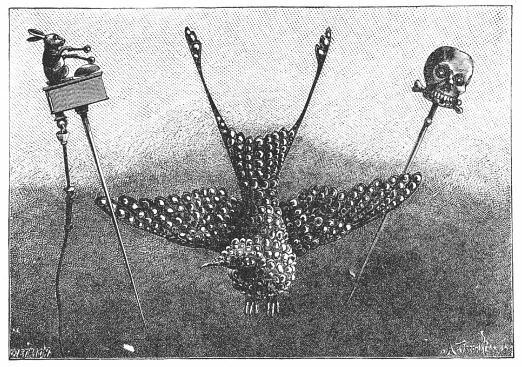 but the most absurd of all, was a small death’s head connected by a wire with a Lilliputian battery carried in the pocket, enabling the death’s head to distend its jaws and close and open them at the wearer’s pleasure, greatly to the bewilderment of anyone not in the secret. The ‘wearable Lilliputian battery’ would be kept in a gentleman’s breast pocket and attached to the stickpin with invisible wire. He could then bring the stickpin to life by secretly turning the battery sideways or upside down. Other designs included a monkey in spectacles pulling faces, Harlequin and Columbine dancing a ballet, a hummingbird beating its wings, a soldier beating a drum, a monkey playing a violin, a fluttering butterfly, an electro-spherical doorbell, and a rabbit playing with sticks on a little drum. It did not take long for these stickpins to become rare, collectors’ items, as a lack of qualified craftsman limited their production. By 1891, pieces that had originally cost 50 francs were costing between 700 and 1000 francs on the rare occasions that they came up for sale. The Victoria & Albert Museum has an identical non-working example in their collection. At A La Vieille Russie, ‘where the unusual is usual’®, we are pleased to present the only working one in the world, certainly a jewel that anyone can love to death. A video of the skull can be found on our Instagram page here.